This product is DEFINITELY too good to be true. I just lift a few sections around my face and at the crown and spray each and then massage my head. My hair is instantly fluffier, feels cleaner and the smell is awesome!! Make sure you use it in a well ventilated area or make sure you turn the fan on in the bathroom. Even my 13 year old daughter loves to use this stuff. I took a before and after picture of her hair to show you what it does. You can see in the before picture the back/crown of her head is looking a little dirty. 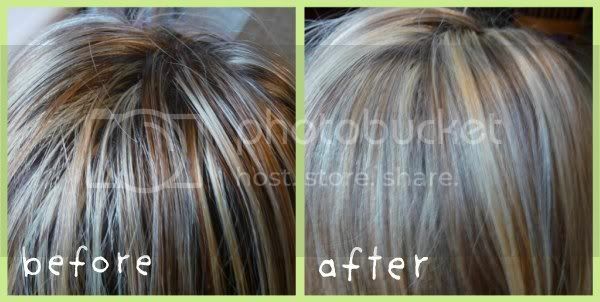 The after picture is with just a few sprays of Rockaholic Dry Shampoo, we fluffed and it looked like this!! My oldest daughter is a hairdresser, so I get this stuff at cost, but I checked the retail prices, Amazon has it for just under $12 , or you could check with your hairdresser, if they don’t carry it, they should be able to get it for you. I noticed some of the Amazon reviews said they got VERY few uses out of it, but those people must be using WAY too much – my daughters and I have been using this for over a year and each can last several months with weekly use. I would say if you need to use THAT much……um maybe you need to wash with water and shampoo…….I’m just sayin…….. So like the can says…….”This stuff is so funktabulous” and it WORKS for ME!! No one paid me to write about this stuff, we just love it that much! Seriously, I don’t know what I’d do if they stopped making it! 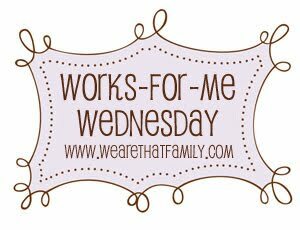 Be sure to check out Works For Me Wednesday to see what’s working for others!! Thanks for posting this! I've been wanting to try a dry shampoo, but didn't want to try one without a recommendation. Thanks for the recommendation. I've been looking for a dry shampoo for a while. Just ordered off Amazon & can't wait to give it a try! I usually resort to a ponytail or clipping up my hair if I don't get around to washing it, so this stuff sounds "right up my alley"!!! Thanks for the tip, Cheryl! Yep, I use baby powder from time to time, but I'm definitely going to try this! 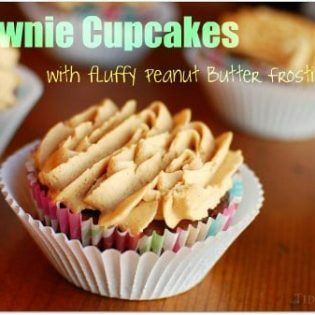 Sounds FAB!